Rural Broadband solutions disaster - what’s to be done? I am a hairdresser and a farmer’s wife, and I don’t want to run the country, but I do want to set a few facts straight. I got involved with tech in the late 80s, when my children started using computers, I didn’t want to ‘not know’ what they were doing. I did some training, and worked as a digital graphic artist for a designer from home, whilst doing caring duty. This meant posting large files on disks, but then we got digital in earnest to keep up with competitors. I started with dial up and tried satellites, without much success, so I ended up as part of a group building a wifi mesh with the help of the university, and this then led to laying the very first rural community fibre to the home in 2009. I am now a small cog in a fibre network called B4RN, built by the community, for the community, and costing £30 a month for gigabit symmetrical, unlimited, unthrottled awesomeness. During the last 15 years I have seen what a mess we are making of ‘Digital Britain’. I have seen funding wasted. I have seen politicians looking foolish. I have worked as a volunteer for the Digital Assembly as an observer and reported to Neelie Kroes, who, like me wants every citizen to have the chance to be digital. I want to help. Thanks to my community and B4RN JFDI, I now have one of the best connections in the world, here on my farm. My speed test, just for interest, what’s yours like? Millions of us are left on connections that are not, and never will be fit for purpose. Government have been brainwashed into believing in infinity. In order to save billions of pounds in eHealth, eEducation and eGov we need every single citizen to be able to go online, easily, affordably. At the moment they can’t, so the analogue ways have to continue which is very expensive for the government and taxpayer. We should NEVER ask ‘what will it cost?’. We should ask ‘what will it cost if we don’t grasp the nettle and do it once, and do it right?’ Patching up the old phone lines is not a solution, and it is a scandal and a disgrace that this government, and the previous two have got it so wrong. The current state of ‘Digital Britain’. What really bugs me is the fact that most of the politicians, civil servants and funders who are in charge of building a Digital Britain in order to keep up with the digital revolution know very little about the subject. This has been proved time and time again. The emperor has no clothes, yet all the minions assure him he’s gorgeous. (looking at you Edward). As we lose our manufacturing industries we have to replace them with other exports, and digital exports are the way to do it. All the funding for the final third (rural areas and those on long lines) who couldn’t get broadband has been manipulated into Openreach coffers and wasted. ‘Wasted’ you say? ‘they have brought fibre broadband, superfast to millions of homes’ you say? Not so. If you study the statistics its ‘homes passed’. What has really happened is that the monopoly has effectively prevented anyone else getting support by grabbing the funding and by doing so has throttled innovative solutions from altnets. They have enabled some cabinets, and every single home on those cabs are classed as having ‘fibre broadband, even if they are still on dial up. Fibre broadband does not come down phone lines. Also, their statistics are ‘homes passed’, and many in those statistics aren’t really connectable, (too few cabinets deployed and not enough fibre). If an exchange is enabled it moves into the superfarce statistics, even if users’ lines are still too far away to get a fit for purpose connection. Business area cabinets are not upgraded to protect openreach revenue from leased lines. Poor areas are often not enabled. Rural areas don’t have any cabinets to upgrade to ‘fibre’. It is all a superfarce. The ‘fibre’ cabinets are a choke point (see p141, Peter Cochrane evidence to HOL) and a dead end and are not futureproof. All the funding wasted on these would have been better spent getting real fibre nodes into the final third, not squandering it on the urban fringe where there was easy picking. All it has done is enable a few near the cabinets to go a bit faster. It hasn’t helped any on long lines. Many cabinets haven’t been enabled, only the easy ‘economic’ ones that BT could have done themselves, and should have done if they had wanted to. Many millions are therefore still on the wrong side of the digital divide, still tied to copper phone lines. We are no nearer NGA than we were in 2003. In those days 2Mbps would have been luxury, in 2005 someone invented youtube, and iPlayer and now needs are climbing and 100Mbps doesn’t seem that fast any more with many homes streaming on TV and PCs. Cabinets cannot deliver what many need now, let alone in the future. Many families have multiple devices and a single feed won’t be enough. Also they have to pay copper land line rental for phones they don’t use just to get the broadband. In 80s the then government led by Margaret Thatcher started a programme to bring fibre to every part of the UK. They didn’t want a monopoly (BT) to do this, so they opened it up to competition. BT were well advanced in the manufacture of fibre and in pole position to deploy it in those days, but the Americans came in and it looked like they would get masses in before BT did. So BT started with dial up, and followed with ADSL, and the bottom dropped out of the market, and the cable companies pulled out. BT have since ruled the roost with the second class solution – internet access through phone lines. Cheap as chips, should actually have been free. Virgin bought some of the bankrupt fibre lines and started their own network in urban areas. This competition in towns and cities has led to what is FTTC, fibre to the cabinet, or ‘infinity’, a faster service for those who are close to the cabinets. It doesn’t help those who aren’t within a few hundred metres much – if at all. Where Virgin go, BT upgrade, but Virgin cable is a lot better service so customers stay with them. Virgin on adsl isn’t good, they then become just another reseller of Openreach via wholesale. (I know, it’s complicated but stick with it). In the late 90s in project Colossus, most of the exchanges were fibred up. That meant your dial up was fibre based. Smaller exchanges were government funded (all the project access funding went there) and only odd tiny ones were left out. Then Openreach sat back and collected the golden eggs, not investing, not feeding the goose, just paying fat cat wages, and shareholders. They even gave their boss over £9 million a year, two years running! The only time they have done anything to update the infrastructure is when and where there was a sniff of competition. The rural areas languish on dial up and sub meg ‘broadband’ and nothing has been done at all to help. Along came the digital switchover fund, and BDUK. They gave the money to the councils. The councils gave BT the funding, and they have used it to cherry pick the urban fringes. Essential maintenance has not been done, as any customer will testify, but now Sky (another ISP) is calling for a review. Openreach are now holding out their paws for yet more funding, (Phase 2) having not delivered the first set of promises. This funding will end up going into satellites with their partner Avanti. It is all a stitch up. British telecom is split into a few groups. Openreach control all the infrastructure. Wholesale sell the access. BT internet buy from wholesale and are an Internet Service Provider. All the other ISPs buy from wholesale too. Wholesale buy off Openreach. This is why we are deemed to have ‘a competitive market’ but in reality we are held to ransom by a monopoly, with the exception of a few altnets who are independent. Virgin also has an alternative network, mainly fed from their own cables. But in the main, it’s all down to Openreach, and they are failing the ISPs. In 2002 we attempted to get our telephone exchange ‘enabled’ for broadband. We already had fibre in it, as did most of the others. We marketed for BT openreach in other words. They weren’t interested in us, as with many of the rural exchanges, there was not enough profit in us. In 2003 there was masses of funding made available, ie Project Access in our area, and we tried to get funding to build our own wifi mesh, using a feed from the publicly funded CLEO project. (CLEO Cumbria Lancashire Education Online) We couldn’t get any, and all the other funds – Big Lottery, Plunkett, Nominet, Nesta etc etc replied to say that ‘BT promise to get broadband to every home in the country, so we can’t fund you’. Eventually project access, having wasted all their funds enabling a few exchanges for BT in Cumbria, and millions in ‘promoting the benefits’ were a bit embarrassed to have nothing to show for it, so they gave us £25k for 6 case studies to shut us up. We did the case studies from the wireless mesh we built with their money. They spent a fortune making a film about it. It was showcased at the launch of project access at Rheged 27/10/2005. As soon as we started building the mesh, BT enabled our exchange. Coincidence? It didn’t matter, as our network couldn’t get broadband through the copper anyway, and still can’t. 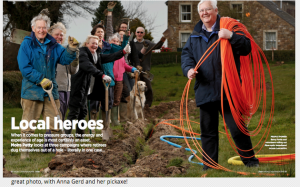 Our mesh thrived and prospered and now all the customers are on our own community fibre. And have sacked off their phone lines. For the next few years, our hopeless regulator assured government that everyone had access to broadband. The OFCOM website still has the information on it (page 5, but they have now added a proviso about long lines after pressure from grassroots lobby groups). The ordinary people who I met every day still hadn’t got it, and where I live the lines are so long even dial up didn’t work, despite being ‘fibre based’. In some areas there is no terrestrial tv nor mobile signals. Some places don’t have mains water and electric, but you can generate that. Not so with internet. If there are south facing hills, even satellites don’t work, but we tried those too. Very expensive to run, dodgy upload, high latency and not reliable. One even broke the quoins out of the side of a house, because round here it is windy too. Anyway, we made a fuss. We had a conference in Cumbria, we launched the Final Third First campaign. Government needed to realise that to enable everyone to have NGA you have to start at the outside and work inwards. Openreach jumped onto this very quickly, and with their snake oil salesmen they convinced the councils that only they could deliver to this final third. They assured government that their commercial footprint would be upgraded at their own expense, if government would fund the harder to reach places. They visited every one of the councils and convinced them they could do it. They have put a lot of time and effort into making their vital vision work. Their vision is to keep the country on copper, but they call it fibre. FTTC is no more fibre broadband than dial up is. Dr Cochrane: Fibre to the cabinet is one of the biggest mistakes humanity has made. It ties a knot in the cable in terms of bandwidth and imposes huge unreliability risks. We made it quite clear at the start that they couldn’t do it with copper. We tried to get the civil servants and the EU commission to see through the hype. But they wouldn’t listen. (nobody got fired for buying IBM). The upshot of all this, is that any altnet (alternative network) was not able to access any funding. Despite the PAC and NAO investigating and castigating BDUK and BT Openreach, and demanding that they release the postcode data to descope areas they don’t intend helping, nothing has been done, and regulation isn’t working. In the last few months, 6 years after the launch of Digital Britain, we have seen a couple of altnets get support, having spent 3 years and a lot of community and private money fighting for funding. There is hope. But it’s a farce to have to play a stupid game when it should be made easy for people to help themselves. We are being held to ransom by a greedy monopoly who is killing the golden goose. It has consumed all the golden eggs, so there is no next generation waiting in the wings. We are stuck on an obsolete phone network for our internet access, and we are fast becoming a laughing stock as BT leech the last remaining assets from what was a world leading telecoms company. Nations without good phone networks have leapfrogged straight into fibre, which has also enabled powerful mobile networks too, even in remote regions. All this talk of 4G and 5G, it won’t work without the fibre backbone, and unless we want millions of masts it still won’t work in the majority of the land mass without small local fibre mobile cells in homes and businesses. Even 2G still isn’t available in a lot of rural areas. As long as government believes the telco hype, there is no hope for us though. That is what compelled me to write this blogpost. You cannot get fibre broadband down a phone line. You cannot connect the whole country using obsolete cabinet technology. gFast is the next stupid thing they will try to push on to us, this only works down 19 metres of copper in lab conditions, not through miles of twisted pairs flapping in the sky or knotted up in trees and ploughed up in fields, or up and down city streets in jammed up conduits. We have to wake up and talk to the taxi drivers and those who cut our hair, and stop listening to snake oil salesmen. In our area we are now ok. We all have real fibre, dug in by the community, owned by the community, and funded by the community until it was sustainable. Our local heroes. Now it is making a profit. We have proved it works. This project can be replicated to go the extra mile, where telcos fear to tread. We are ok, so should I just stop ranting and ignore what is going on in the rest of the UK? I think not. It’s the whole population of the UK really, isn’t it? 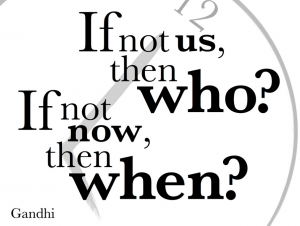 If not us, then who? The population employs a government supported by public servants to ‘serve the public’. We can all see “our employees” have been seriously led astray by commercial interests who have lost the plot and are stifling innovation in the UK. The Vital Vision brainwashing ran for many years before it was removed, but the damage had been done and many public servants had been on it. They became the ‘visionaries’ for the infinite superfarce. BT have erased all traces of it from their site, but the pdf lives on, thanks to the cloud. The incumbent is determined to protect its investment in copper. It will not invest in fibre until it is forced to. It is wasting its profit on patch ups, fat cats and football, instead of futureproof upgrades. It has brainwashed our vital ‘visionary’ employees in Westminster. It is not ‘fibre broadband‘ if it comes down a phone line. ‘Homes passed’ should not be included in statistics. ”Upto‘ speeds are not acceptable. Please do your bit. Think about it, talk about it, to the taxi driver and your barber/hairdresser, friends, family and co-workers, and help stop this superfarce, bit by bit. The same way you eat an elephant. One bite/byte at a time. Do it for the next generation. Help build a real Digital Britain. 4As – the Activists enthuse the Adopters, the Adopters can enthuse the Apathetic, (activists scare apathetics) otherwise the Anti brigade get their way, and all we’ll end up with is FTTC and a superfast train set for a few commuters. If you can’t be an Activist, be an Adopter. Help us build a Digital Britain to be proud of. Why not be the best? We have made a start, here in Lancashire. We have built our own fibre network from scratch, and it just works. The people have done it all. We have many retired people working in the trenches, grannies and granddads with spades and pickaxes. We have found it builds community cohesion and everyone has a feel good factor. It can be done. If we can do it, others can too. If government would support it, it could be done a lot faster and a lot easier. Your future is in your hands. To which group do you belong? 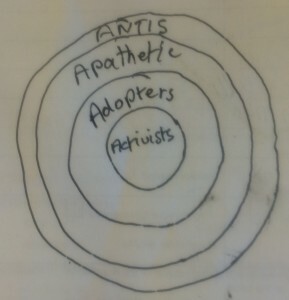 Activist or Anti?Adopter or Apathetic? You don’t have to be techie. It isn’t rocket science. Thank You. Power to the People. Dr Cochrane: Fibre to the cabinet is one of the biggest mistakes humanity has made. It ties a knot in the cable in terms of bandwidth and imposes huge unreliability risks. Click here for the full interview with the ex CTO of BT. B4RN were awarded two MBEs in the Queen’s BirthdayHonours list 2015. Chris – you really need to rewrite this without all the emotive words to havesome impact. To start with: what is the problem with replacing properties (not homes) passed with availability. How else would you measure a rollout? I would like to see a proposal for near 100% broadband >100M for the UK based on commercial financials, not sure it ever existed. For a typical cabinet area of 300 properties in a built up area what are the relative timescales and costings of FTTC v. FTTP? Getting the backhaul in is identical with all the issues of blocked (by others) ducts and a day or 2 to plant a cabinet is small compared with digging down roads and pavements by contractors. Hi Peter. up to your old tricks astroturfing again? This isn’t my blog so I can’t block you on this one. 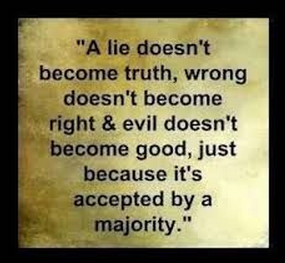 I will leave it to someone else to waste their time and effort telling you what you have been told many times before. ttfn. 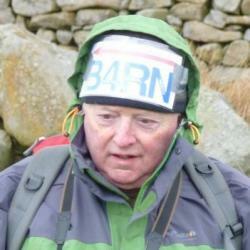 @ Chris, Shall we rechristen him “Peter the PAIN, the postbox photographer” – he’s not too bad at that hobby ! I too won’t waste my time on the FUDder Dudders either. A 288 line Huawei FTTC cabinet has 6 GBits/s of fibre connectivity, not really a real world bottleneck. How many Gbits/s does a B4RN village cabinet have as backhaul for comparison ? Sure, it’s upgradeable, but what’s there now ? I’m guessing 10 Gbits/s as I don’t expect an answer. The community broadband model hasn’t proven a great success, others have looked at B4RN and rejected the idea. If it is an economic model it would be happening all over the place, but the reality is that other than in notspots many end users turn their noses up at increased monthly costs or decreased choice of retailer. I think its time you paid us a visit Phil. The last time you came we were running a network with satellite. Times have changed and we have 2×10 gig feeds at both ends of the network, we can upgrade to terabit at the drop of a hat. Some have looked at B4RN and not been able to replicate, but many have looked and have replicated in their own ways. I think you have listened to too much hype and seen too many funded networks fail and become cynical. Come and see us, and I will convince you? I remember you helping us with VOiP way back in those days. I owe you one. I think you will find our end users actually pay less than those on ‘infinity’ and they still have the choice of going back to any other ISP they like, because BT are now overbuilding us. We don’t mind. We don’t mind a bit. But we do resent them being funded to overbuild a network that has been paid for by the people, for the people. Nobody here turn their noses up, this is Lancashire. A canny bunch. They make up their own minds, and they go for the best service and the best value. And that’s B4RN. Their own network. Aye Tref, we aren’t even touching the sides on the gig yet, but the point is that it is easy to upgrade the B4RN network in the future when needed. Unlike the FTTC cabs which are a dead end. It’s a professional response to an article on a respected website. I’m just interested in a response to questions about some of the things stated. It’s called discussion. What is the problem with properties passed figures that the industry uses? Living in an area where the only fibre is on the backs of our sheep we have watched B4rn with great interest and have worked some of their approaches and lessons into what we are doing and planning. Is it a Plug and Play model? Nope. Nothing is .What it is however is a mind opener. An illustration of the possible enabled by the positive. Here in Connemara we find getting on the Internet is far easier than locating open minds to connect with. Just to add to Chris’ comment B4RN started with single 10 Gig feeds on their dual diverse routed full symmetric fibre network. They do carefully monitor their network performance and doubled their feed capacity before the maximum peak load exceeded 50% . They can afford to benefit their community because they are a Community Interest Company not subservient to their shareholders. “…with one exception, and that is John Doyle, an Irishman with vision. He, is the only civil servant I know who stands by his principles and fights for what is right”. But in the early days I didn’t know him. 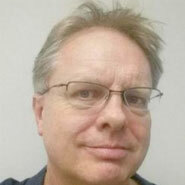 He is slowly but surely educating the few in the commission with brains about the laws of physics and the economics of enabling the people to help themselves. B4RN has managed to do it without any government support, and proved it can be done, but once government gets behind the idea it can really build a digital Europe. Go for it John. There are some good people in governments who just need enough information so the mist clears and they see through all the telco hype themselves. And know when I wrote this post I still didn’t think of him as ‘one of them’ because even though he works there he is still a man of fibre, I just think of him as one of us, the people…. …so I think John should be invited to speak to the All Party Parliamentary committee, together with Peter Cochrane. Or Via Skype/Jabber if they are too busy to get there in person. The APPC need technical help, but not from an incumbent, concultancies or our ‘regulator’. Independent advice is essential. Peter, even someone with the least amount of knowledge knows that ‘properties passed’ includes those of us who have been ‘passed’ (Yay, bring out the flags and rejoice) but are too far away from the cabinet to benefit or indeed have EO lines. Is it then valid to include these properties in the results? FTTC is not superfast fibre. Mine was an unprofessional, basic laws of physics response. No wonder these people are sick of you as it seemed like a damned stupid question to me. Clearly cabinets do not work in rural environments. Seems quite obvious to anyone that even vaguely willing to scrape beneath BT’s version of the truth. I for one can see that they are indeed not wearing any clothes. The definition of properties passed should be those that can connect at a minimum speed eg. 24M, and not include those below. people), villages, hamlets or isolated dwellings. So definitions are important and FTTC works in many villages. Clearly it’s no good for long lines and the problem is that they fan out from cabinets leaving small isolated areas everywhere. Peter, you are correct; the definition of properties passed should be those that can connect at 24 Mbps+ but that is not what actually happens. BT said today that “only 5% of UK premises currently receive less than 10 Mbps”. This is a blatant lie and OFCOM should ask for actual figures of those actually connected and able to receive those speeds – having an FTTC Cabinet in a postcode DOES NOT mean that all premises in that postcode get 10 Mbps+. As for measuring it, it is a relatively simple task. We know where premises are, BT knows where the Cabinets are (although they won’t release this data to anyone, even Councils), and ACTUAL speeds can be measured. In our area, the real figure of connectivity is c. 30%. I’d have though this would have been obvious.